Mothering Sunday, a worldwide celebration for mums everywhere! Mother, mummy, mum, ma, mama, mam! However you address this wonderful lady in your life, there is one day a year that the world sets aside in celebration of this special woman. Mothering Sunday or Mother’s Day is a day to show love gratitude and appreciation to all mum’s everywhere; through acts of kindness and the giving of gifts and flowers. 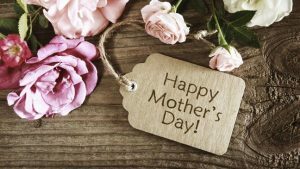 Here at Aylett Nurseries, we were wondering about the origins of Mothering Sunday and why there is a difference between the name i.e. Mother’s Day and the variance in dates across the world. Here is what we found. Celebrations date back as far as the ancient Greeks; they would celebrate Rhea, the Mother of Gods and Goddesses every spring with festivals of worship. The Romans also celebrated a mother Goddess Cybele, every March as far back as 250 BC. Mothering Sunday as we know it has been celebrated on the fourth Sunday in Lent in the UK and Ireland since the 16th Century. It was originally a day to honour and give thanks to the Virgin Mary; also known as Mother Mary. People were required to visit their ‘mother’ church – the main church or cathedral in a family’s area. As Christianity spread throughout Europe in the 16th Century, celebrations firmly put Mothering Sunday on the calendar. It was believed to be essential for people to return to their home ‘mother’ church to make it a true family honoured occasion. The gatherings reunited families and gave children who worked as domestic servants or as apprentices away from home (some as young as 10 years old), the opportunity to have the day off to join their family and see their loved ones. Whilst the day had a firm following, by 1935 it did start to decrease in popularity and was celebrated less and less in UK and Europe; that was until World War II. The Americans and Canadians celebrated Mother’s Day (more about that later) during the war to communicate with their mothers back home whilst away. Consequently, the Brits and the Europeans followed their comrades and they too gave thanks to their mothers; since then, the day earns pride of place on the Great British calendar. Mother’s Day as opposed to Mothering Sunday was created in 1908 by a lady named Anna Jarvis from West Virginia. She pushed hard for a holiday to celebrate all mothers after the sad death of her own. After a lot of hard work, her tenacity and determination paid off and President Woodrow Wilson finally made it an official holiday for the USA in 1914. However, Anna Jarvis reversed her views and went on to oppose the day as she saw the holiday spiral into a huge commercialised opportunity and cynically referred to it as “Hallmark Day”. Nonetheless, Mother’s Day remains one of the biggest days for sales of flowers and cards in the USA. During our investigation into the origins of Mothering Sunday, we have learned that in some countries, the date adopted for celebration is one significant to the majority religion. Other countries selected a date with historical significance. For example, Bolivia’s Mother’s Day is the date of a battle in which women participated! Ex-communist countries usually celebrated International Women’s Day instead of Mother’s Day and a lot of them still do. Over 81 countries including Australia, Canada, Germany, Brazil, South Africa, India and Japan follow the path of Anna Jarvis and like the USA, celebrate on the second Sunday of May. Even though just across the English Channel, Mothers’ Day in France is usually on the last Sunday in May, but is moved to the first Sunday of June if it falls on the same day as Whit Sunday/Pentecost. The origins of Mothers’ Day in France are believed to have stemmed from the Napoleonic era. In 1806, the French emperor announced a special day to recognise mothers of large families.